Cad Cut vinyl is perfect to personalise sports team kits and university leavers hoodies. Unlike other printing techniques like screen printing, CAD-cut vinyl has no setup costs which is why it is a great choice for small and one-off orders. It’s also quick which allows us to act fast when there’s a need for a rush order. Cad Cut vinyl is versatile and can be used on almost any material and/or product. It’s also refreshing that it can be used on dark-coloured garments without the need of a pre-treatment step or the white layer of ink that screen printing and DTG need in order to work. What also sets it apart from other methods of personalisation is that works on garments that have been previously printed. This allows a great deal of creative freedom. In order to customise, even more, there are very different kinds of vinyl. The basic ones are either matte or vinyl but then there are special types like Airflow which allows for more breathability and Thermo-Film which regulate the temperature. For those who’re looking for a more stylish effect, there’s Fashion-Film which is thin and very soft and Flock which is a hairy material similar to velvet. The colours must be separated into different layers and all shapes must be turned into vectors. Otherwise, it won't work. To some people, this material looks and feels like a big sticker. It kind of works the same way too. This process is called ‘weeding’ and most of the time it is done by hand but other times it’s automated. In order for the design to properly transfer, the garment must be pre-heated. This is done in the same press. The vinyl is placed where the print is desired. The material is delicate so it must be done carefully. The Printsome experience is a modern take on T-shirt printing. 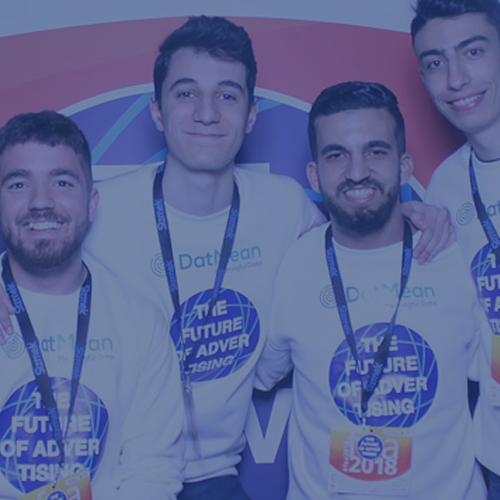 With a solid grasp on printing techniques and a creative mindset, we represent the best of both the traditional industry and the contemporary agency. We’ve always prioritised the customer experience, which is why from the first contact, our clients get assigned their very own printing expert who will guide them through the entire process. They are highly trained to offer a personalised attention each and every time. Not only that but if you need help with your artwork, our graphic design team will offer their hand as well. Artwork must be managed differently for every printing technique. For example, CAD-cut vinyl only works for simple designs. Learn how to prepare artwork for CAD-cut vinyl below. 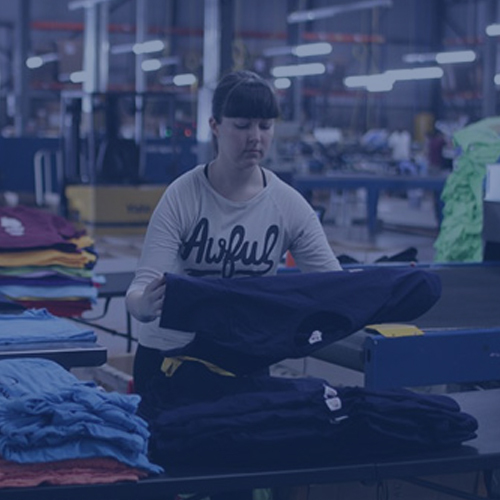 Our catalogue features a wide variety of garments from world-famous brands such as Gildan and Fruit of the Loom to more conscious companies such as Continental Clothing which creates all of their products in an ethical and sustainable fashion. For those in a hurry, we offer different delivery options which can adapt to most deadlines. Our standard delivery is from 5 to 7 days while the express option will ship your garments in 48h. If you’re interested in the 48h option, please make sure to place your order before 12.00 pm. If you ensure that your artwork is at 300dpi, at the desired print size. Then you can guarantee that it'll be at a high enough resolution to print. If you convert all text to outlines, then we won't have to relocate any fonts, so they'll be as you designed them for print. Vector based files (e.g. Adobe Illustrator files) work best for us, as they have no loss of resolution, no matter how big you scale up the artwork. In case you don’t speak graphic design fluently, Printsome is here to translate. We’ve decided to take this tedious process and simplify it into this easy to follow PDF, available for download. Do you still need some extra guidance? Worry not! Contact us and we’ll prepare the artwork for you. 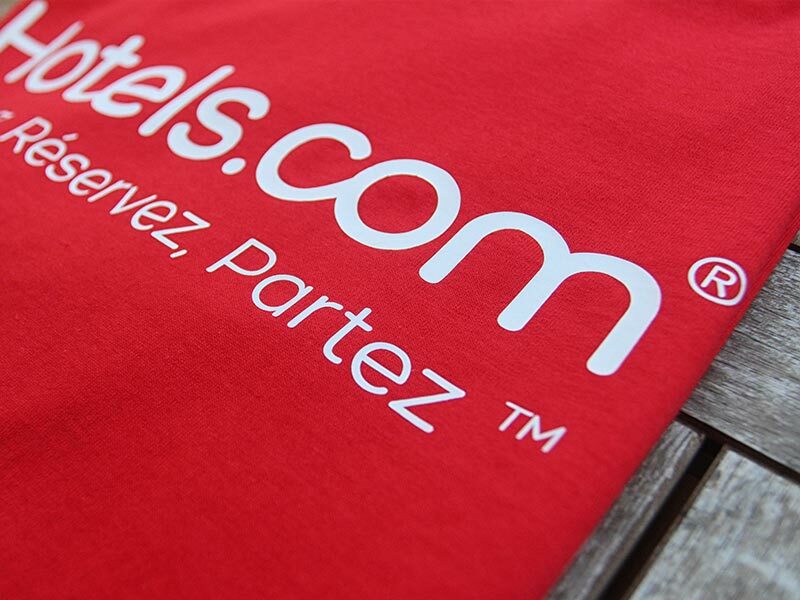 Printsome is an online T-shirt printing agency that was founded in 2012. Throughout those years, we have worked with some of the biggest brands in the UK and Europe. The BBC, Facebook, IKEA and Rockstar, just to name a few. In a saturated industry, we make ourselves stand out with a business model that revolves around you — the customer. From the first moment you get in touch with us, one of our printing experts will become your guide through the entire process. The way we come through in a pinch, communicate quickly and keep you in the loop as the order is processed is the reason why our customers keep coming back. CAD-Cut Vinyl is one of the many types of transfer printing. What makes this type of transfer stand out from the rest is the cutting-edge technology it uses to make the crisp prints we all love. Vinyl T-shirt printing, one of the most used techniques when it comes to T-shirts in general but is best known for custom sportswear for teams and clubs. What is CAD Cut Vinyl, you ask? Well CAD stands for Computer Aided Design, this is a printing method which (as the name entails) uses a computer to cut a design with precision from the vinyl. This vinyl is later put on a garment like a sticker and sealed with a heat press. If you’re wondering whether you’ve ever seen CAD cut vinyl, the answer is that you most likely already have. Have you ever noticed the names and numbers on football shirts? That’s what it is! Not only you can have Vinyl printing T-shirts but also hoodies, vest tops, polo shirts and all type of garments. Not just clothes! Also accessories like tote bags, hats and even umbrellas! This is the great thing about transfer, that it is compatible with almost any material. Cad Cut Vinyl printing is also used for workwear. However, it is not recommended for bulk T-shirt printing due to its complexity as it would take more time and more effort than other techniques. In the case you are looking to produce in bulk, we would be happy to recommend another printing technique as an alternative. Printsome is an online T-shirt printing UK agency offering Vinyl printing T-shirts and having a strong focus on your satisfaction, our precious client! As a printing agency, our mission has always been to offer a better service. Not by reinventing the industry but by shifting its POV. Instead of the mechanical part of the process, we focus on you — the customer. Our goal is to offer the best customer service we possibly can. For those purposes, we have a team of printing experts ready to help with everything you need. From advice on the ordering process to the best printing technique for you and to fit your budget. We also have a huge catalogue of different garments waiting to be personalised. 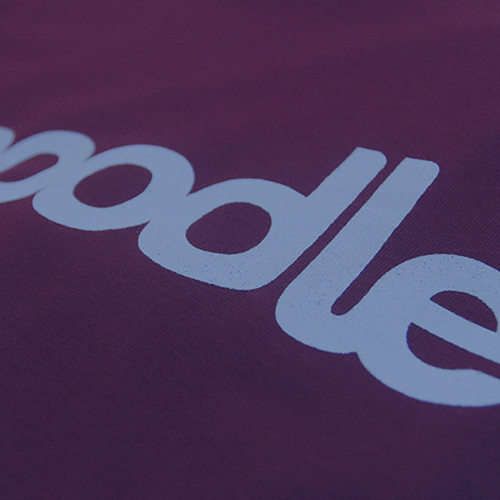 Custom T-shirts is one of the options, but with us, you can also personalise hoodies, vest tops, polo shirts. Going back to the point, how does CAD Cut vinyl work? First, the vinyl is cut into the desired shape and then, usually by hand, the excess materials is disposed of (this step of the process is called ‘weeding’). All of this is done with the help of a computer to better control the process and precision. After that, the shape is printed onto the garment with the help of a heat press and TA-DA! Vinyl T-shirt printing is one of the cleanest looking printing techniques since the process doesn’t use any type of liquid or ink. It also has more benefits when compared to other techniques. For example, it’s durable, easy to apply, washable (although there are some tips on how to wash the garment the right way). On top of that, Vinyl T-shirt printing is available in almost any colour you can imagine. You can also choose between many different kinds of textures. The most common are matte and gloss but there are also fluorescent, 3D, velvet, hairy, silver golden and many, many more. Trust us when it comes to personalise your garments. From events and marketing agencies to world famous brands like Virgin Atlantic, Facebook and Adidas have trusted and ended up 100% satisfied with the way we use CAD Cut vinyl. Printsome is here to make things easier for you! What does it mean? You just need to place your order and we take care of the rest. Don’t worry, one of our printing experts will take care of everything you need. For the delivery we have two options depending on your needs. Express T-shirt printing: which takes 2-4 days from Monday to Friday, and sometimes, if you really need it we can arrange a Saturday delivery for you. Standard Delivery: 5-10 days. One thing we can not forget! Since we are a Cad Cut Vinyl printing in the UK, we can deliver anywhere in the country. From London to Glasgow and Liverpool to Belfast. Get a quote for vinyl printing T-shirts now!